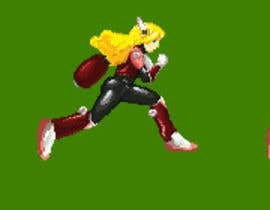 I need a pixel art sprite sheet made for a side scrolling game/flash animation that I'm making. 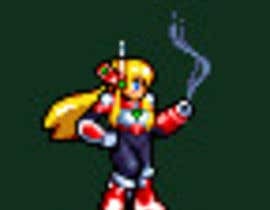 It's in the style of Megaman X, Megaman Zero and Megaman ZX .The character's name is [login to view URL] and she is a program used for fighting. 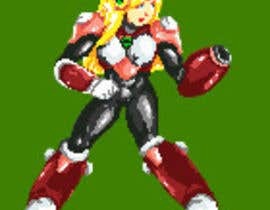 She fights by mainly using her arm cannon or just by punching and kicking with fighting combos! 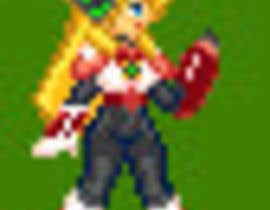 I included an image [login to view URL] to base your sprite sheet from; I also included a megaman template sprite sheet to base [login to view URL] sprite size and her other moves The [login to view URL] sprites must look exactly like the [login to view URL] image I provided. 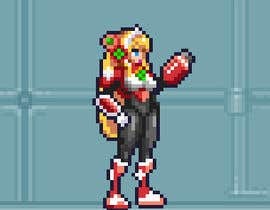 You must make Alia sprite look feminine and woman like. 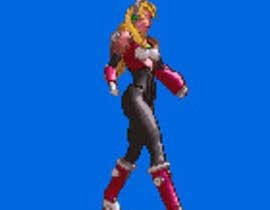 To enter the contest I would just like to see 1 frame of [login to view URL] standing idle (or a short walking or running sequence) of the [login to view URL] character. 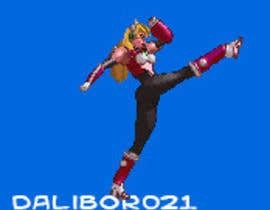 The contest winner will be provided full details of the sprites that I need (approximately 50 frames total). 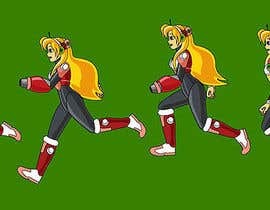 The sprites needed are basic movements like walking, running, jumping, and attacking, etc. 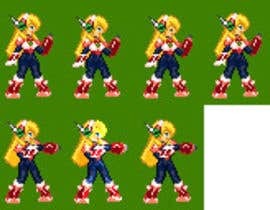 I will need the pixel art sprite sheet of [login to view URL] [login to view URL] format. Please let me know if you have any questions. Original designs only please. I'll need more characters in the future so this project could easily lead to additional work as well. Hello Contest Holder. I did not know that you require us to produce gif images to win this contest. You simply asked me if I can export my animation to gifs which i answered yes. I waited for the result of this contest until now. I will send you the gifs asap. I really think that there's a misunderstanding with how we should go about finishing this contest for you to choose a winner. Usually, the contest holder chooses the winner and then asks for more required files before handing the prize over. I guess we are all waiting for your announcement. Yes, Thanks That helps. 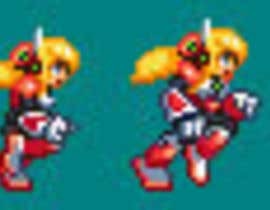 I will take note of that for my future sprite/pixel contests. I am disappointed. There are no clear winners in this contest. Some Good freelancer candidates did not post anything in 1 or 2 days. 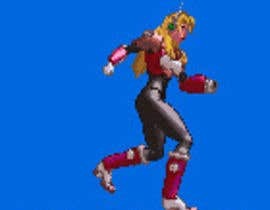 Other good freelancer candidates still having trouble with their sprites animation gifs. 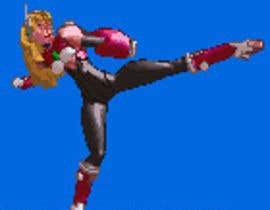 Someone really needs to impress me with good animation gifs of Alia.EXE if they wish to win this contest and get paid! Hi, Check please #79 Thanks! there all the same to me. 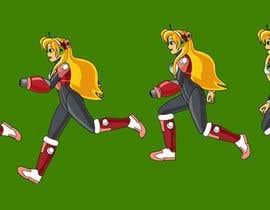 Hi CH, kindly check run cycle of entry #72 please... :o) Low res sprite in png file. What pixel resolution will you be using them in? 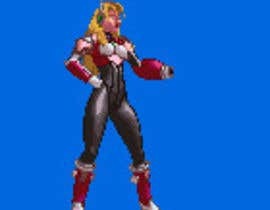 We need to know, although judging by your selection you'd want them in the DS sprite visuals, i'm assuming? Hmm, I see what i can do. 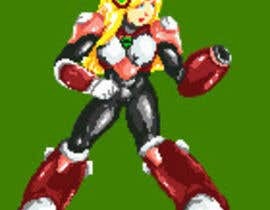 Its pretty clesr you are looking for a megaman like styled sprite for your character, but in order to provide an accuarate entry, i need to see a better example of the specific style you are looking for. 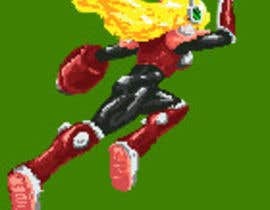 Post pictures not of the frames but of the drawing style youd like her to look in the sprites. Thanks! Looking forward your feedback! Btw, what kind of personality does she have? This is more easily answered if you've actually played the games. Grab an emulator or something. I've added 3 more days to the contest so you guys have more time to edit and animate the pixels.